A whole nine years ago, shortly after Hashigo Zake first opened, we purchased a keg of a pale ale by a little known brewery based in Mapua, near Nelson, called Golden Bear. Everyone on our side of the bar thought it was quite tasty and the longer it remained on tap, the faster it seemed to sell. 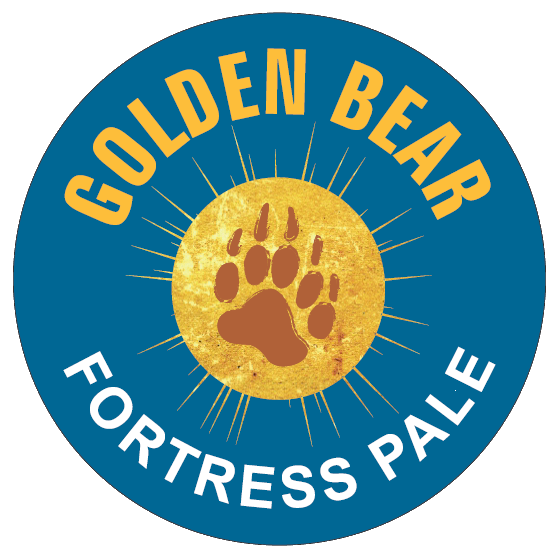 We didn’t know much about Golden Bear except for whispers that their brew kit was about the nicest anywhere in the country. One day a customer who spoke with what might be described as a Californian drawl, stayed in our bar for a while and asked quite a few questions about our operation, before finally letting on, as he left, that he was Jim Matranga of Golden Bear. We went on to regularly buy Golden Bear beer and have got to know Jim better since then, although not always for the best reasons. We’ve publicly debated him over his practice of paying for exclusive rights to sell beer into several bars in the Nelson region. He seems oblivious to the connection between what he does and the practices of the brewing giants doing their best to eliminate competition. That’s one of the reasons that it’s been quite a long time since we’ve served one of their beers. One of our favourite beers made by Golden Bear was his Patriot Pale Ale. A few years after we first got to know that beer, Croucher in Rotorua started calling their Black IPA Patriot. No-one got litigious and there was never any danger of confusion. So no-one seemed particularly worried. Enter DB, the local vassal brewery of Heineken. To the best of our knowledge neither DB nor any of their subsidiaries have ever made a beer called Patriot, but in September they applied for a trademark on Patriot as a beer name. And IPONZ have accepted their application, which probably means that it will go on to be registered unless someone ponies up $300 + GST to oppose it. We spoke to Jim at Golden Bear who says that he doesn’t happen to have made a beer called Patriot for a while, but he definitely expects to be able to revive the recipe and the name in future. And shortly after that, presumably, Jim will hear from DB’s lawyers. Since the only thing that we hate more than a brewery that buys taps is a brewery that buys taps and trademarks other people’s beer names, this seems an opportune time to reacquaint ourselves with Golden Bear beer. So over the next few days, look out for an injection of pale, hoppy beers from Mapua’s finest, including a hoppy pale ale called Fortress, a hoppy lager called Nelson Easy and their Czech Pils. Best of all, their Brut IPA will be in our new release slot on Tuesday. 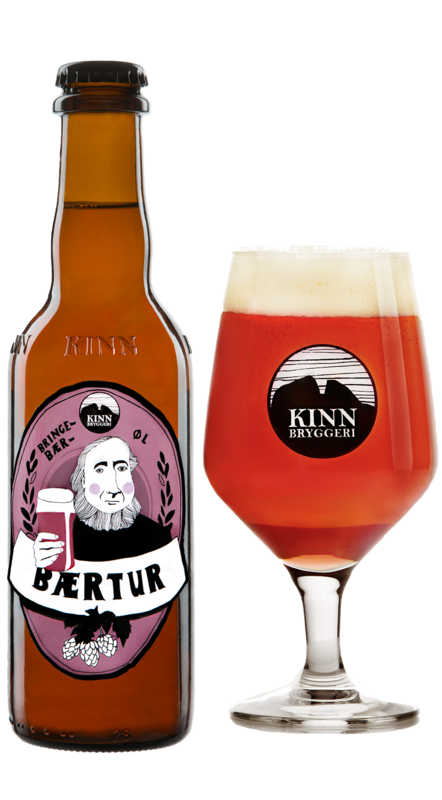 We’ve talked recently about the Norwegian brewery Kinn and the tasting that we held way back on Tuesday of last week. There were a couple of quite striking things about the Kinn range. The most obvious was their immunity to most of the current fashions in beer styles. That’s not to say they can’t or don’t make a mean IPA, just that the beers that we were tasting were generally traditional and/or malt and fermentation driven, rather than being hop-bombs. The other was how well the beers have kept. One stand-out was their Brown Stout called Prestesonen. This is a sub-6% beer that the brewery held on to for three years before releasing. It’s now four years old and hasn’t turned into an oxidised/autolysed/solventy mess. Several beers were officially past their best before dates. The fact that they were tasting so much better than we would expect for "dated" beer from a small, independent brewery probably reveals how modest our expectations are for the shelf life of beer from small breweries. (The reasons for saying this would take up a bit too much space right now.) It’s also a good example of the benefits of bottle conditioning. It also betrays how unfortunate it is that supermarkets and regulatory bodies insist on arbitrary dates that aren't necessarily fair for the particular product, leading many retailers and consumers to turn their nose up at beer that may not have anything wrong with it. Another good example was Kinn’s witbier called Jubileum. This is officially dated, but the beer can hold its own as a solid, or even very good, example of the witbier style, that we’re happy to offer to customers. But because of the date problem, the importer has sold it to us at a discount (that we’re naturally passing on). 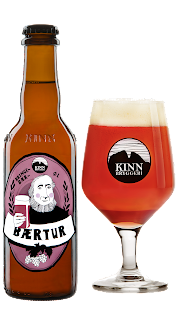 Bærtur – a raspberry tripel – not something that we were particularly looking forward to, until it turned out to be delicious and the most popular beer in the tasting. Jubileum – fine example of a Belgian wit. Prestesonen – Brown stout brewed in 2014. Big bready malt characters and in great condition. These are available at the bar (and for takeaway) and are making their way onto the Cult Beer Store. It’s mid-November, which means that our traditional Christmas event – the Santa Session – is looming. For those who don’t know, the Santa Session is an opportunity for us to clear some inventory that we have too much of, or that has hung around too long, and at the same time give our regular customers a night drinking some random and often extravagant beer at a bargain price. Once again we’re holding it on the first Tuesday of December, and once again we’re giving a discount to members of SOBA. Looking at the candidate beers from our current inventory, this year’s event will probably be heavy on Barley Wines, which is fun and dangerous and also potentially very expensive for us. Consequently we’ll be limiting numbers slightly more than usual. This Kevin Bacon- and Fred Ward-starring 50s monster movie throwback from 1990 was one of those classic late night TV finds. 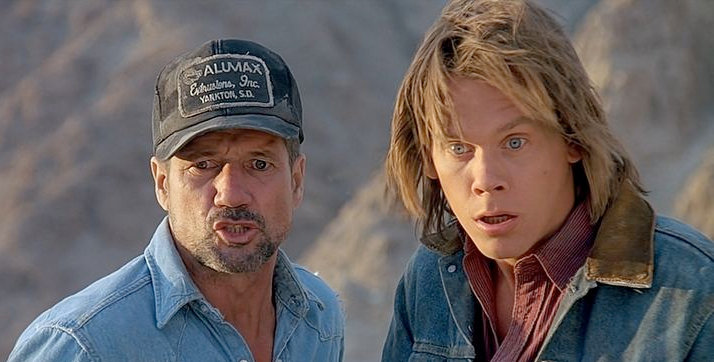 And while it’s spawned SIX sequels (including one this year), a one season TV series and another recently aborted TV series, the original still remains the absolute best. The excellently paired Misters Bacon and Ward star as two fed up repair/handymen who have decided to ditch their small Nevada town of Perfection for the big city lights only to be cut off at the pass by some very hungry and very large subterranean worm beasts. Our heroes are joined by a surprisingly stacked cast of Whatshisfaces and Iknowhers including Michael Gross (Steven Keaton in Family Ties), Reba McEntire (Country Music Queen!) and Victor Wong (VICTOR WONG!! Big Trouble In Little China) all chewing through a wonderfully funny and sharp script . And then there’s the pole vaulting! Earl Bassett: Hey, Rhonda you ever seen anything like this before? Valentine McKee: Oh, sure Earl. Everyone knows about them we just didn't tell you. Sunday 7pm. Free, just like the popcorn. JB3 return to our lounge on Saturday, bringing soul and funk. They've been one of our most popular and reliable acts, having first played in our atmospheric underground music den more than four years ago. The world’s second most popular spectator sport becomes prime time viewing again tomorrow evening after being absent from our everyday lives for far too long. We’re talking of course about cricket, and, in particular, test cricket. The team formerly known as the New Zealand Cricket Team are in the Middle East, playing Pakistan, because it isn’t safe to play international cricket in Pakistan. Don’t be fooled by what will probably be sparsely populated stands at these games. This is a contest that will generate huge interest in corners of the world that we barely know about. Best of all though, play starts every evening for five days at the wonderfully convenient time of 7pm, New Zealand Summer Time. We will probably throw it onto one of our screens each evening, depending which staff member appropriates the remote, although that could stretch to two if there’s enough interest. If none of our staff remember to put it on one evening, don’t be afraid to come up to the bar and ask. Wellingtons favourite music quiz will be back for one final 2018 edition on December 10th, be sure to book a table over the bar, It might even be Christmas themed.